Why Should Schools Visit Museums? A current project of mine calls for a very specific justification of school visits to museums. I believe strongly that school groups should visit museums, and that museums should provide great programs for these groups, despite the fact that the these visits are time-consuming (for schools as well as museums) and expensive. But this project is leading me to some unanswered questions. WHY should school groups visit museums? And how can the WHY help us shape the HOW? 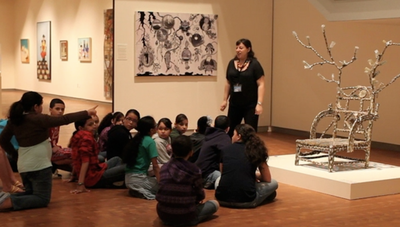 Museum visits increase students’ cultural capital; in turn, school groups help museums reach non-traditional museum goers. However, the means by which to achieve these various goals seem markedly different. If a museum wants to teach critical thinking skills, then encounters with objects should be extended, and should involve group conversation and challenging open-ended prompts. If a museum wants to teach empathy, drama and writing activities related to objects on view might be most productive. And if a museum aims to excite students about a discipline, then students should have room to explore independently, and museums must ensure that the challenges provided on the trip explicitly mirror real disciplinary challenges and questions. Moreover, from the perspective of the school: Are museums the BEST way to achieve these goals? There is evidence that suggests museums are not good at teaching subject-specific content and skills (#3) — this is much better taught in the classroom. Sometimes this is difficult to communicate to classroom teachers, but it is in our best interest to do so, in order to ensure successful programs. The fourth goal I mentioned was expanding students’ real world knowledge. Intuitively I think museums do effectively introduce new knowledge to school children, through new vocabulary, spaces, and objects that they might never have encountered before. They immerse children in a world outside of their own lives, expanding their horizons. Although again, to best achieve this museums might want to employ specific strategies: for example, encouraging as many connections to the real world as possible, or offering reading passages or photographs that provide additional context and clarity. And finally, there is the question of social capital, which is also the most self-serving goal: museums want to build new audiences. Field trips clearly bring new audiences in to museums, as some of these visitors are not normally museum-goers, and we count these students as visitors the moment the walk in the door, whether they want to be there or not. Whether students return on their own is another question. I would argue that it is unusual for school visits to transform non-museum visitors into regular museum visitors, although some educators may have anecdotes about individuals who came on a school trip and then joined a teen program or started exploring other museums. It is those repeat visitors who gain cultural capital, whose lives stand to be changed by their visits. But if our primary goal is for students become museum-goers, returning on their own or with their families, how does that in turn impact program implementation? It certainly involves the distribution of free return passes (which many museums are doing), but there must be more, as well. Explicit invitations to return? Specific follow-up programs, that address intriguing topics raised on tours, or offer opportunities to share knowledge learned on tours? These last two goals (#4 and #5) are entirely unconnected to the day-to-day work of the classroom. And research demonstrates that field trips are more effective when teachers make connections before and after the visit. So if our goals do not relate to the school curriculum, how best to work with teachers? Every museum defines its own goals and methods. I am not suggesting that museums should agree on a field-wide goal for school visits or a plan for implementation, only that goals should drive implementation. And also that, given the enormous amount of resources museums direct toward school programs, it is worth giving this question careful thought, both for specific museums and as a field. I realize also that I may be missing important goals in my list, and welcome additional suggestions, and any other ideas on this topic. 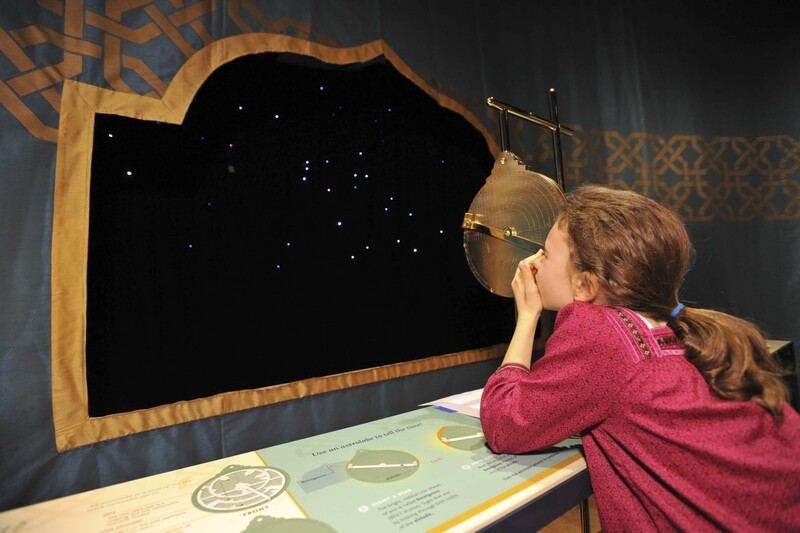 Why should schools visit museums? And how do we shape our school visit programs to achieve these often lofty and difficult-to-measure goals? Note: I chose not to include footnotes in this blog post, as it would have made it too long and academic. But if you would like to see the resources I used, visit this bitly bundle. November 7, 2013 in Exploration: Schools and Museums, Reflection and Evaluation. I grew up outside of DC, and went to museums regularly, both with my mother and on school trips. I almost can’t imagine not having had those experiences!